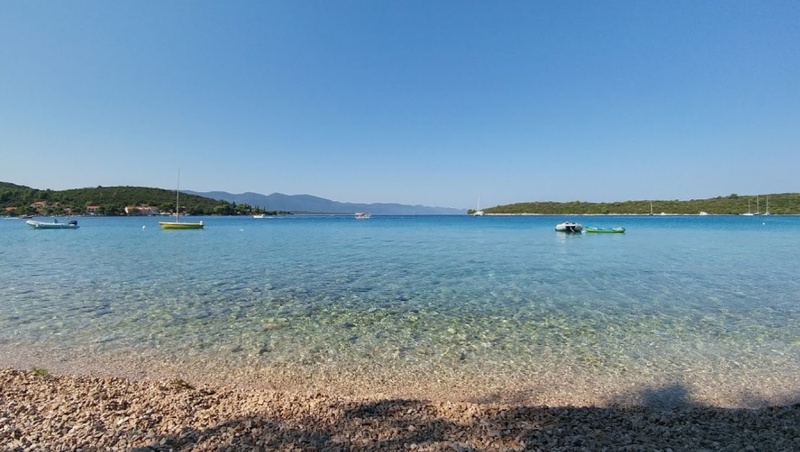 We bring you a list of the most beautiful beaches on the peninsula of Peljesac with a large number of pictures for every beach, description and location. You can find more information on each beach by clicking on the link below the pictures of each beach. 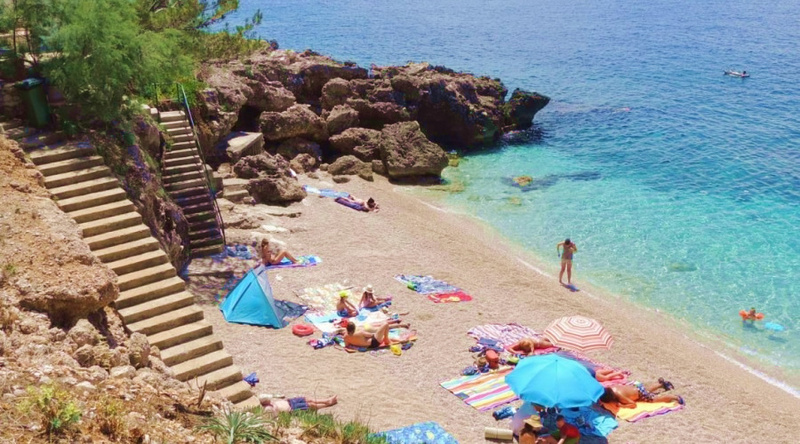 Vučine Beach, Žuljana - This beautiful beach is one of the most beautiful on Peljesac, made of gravel and hidden in the natural shade of tall pine trees. It is great for anyone who loves to spend the rest in peace, out of the great crowds and noise. The sea is quiet, pleasantly warm and accessible to the whole length of the beach. Plićak is an excellent place for children's play, as well as for occasional cooling from the hot summer sun. However, when the sun is getting too warm, it's enough to pull in the shade in a couple of steps. Come to this beach, relax and enjoy the natural sounds. Prapratno - The beautiful sandy Prapratno bay is located 3 miles west of Ston. 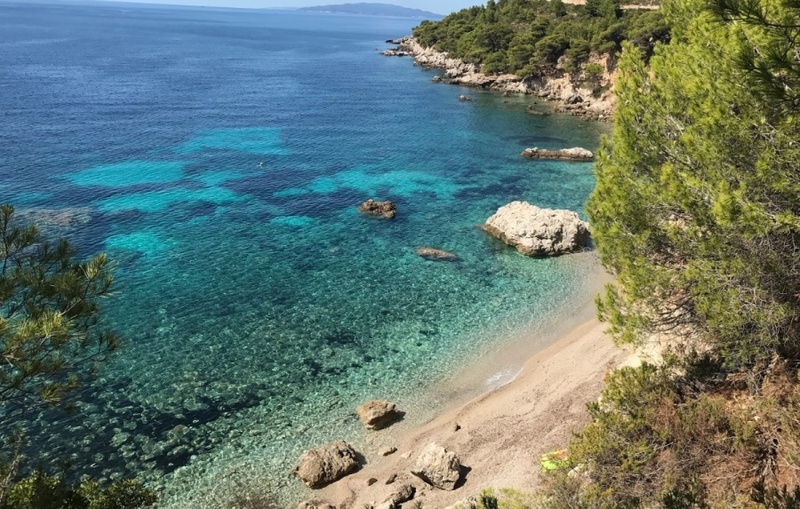 It is then one of the most beautiful bays on the peninsula of Pelješac with a sandy beach surrounded by pine forests and turquoise waters. The beach is across the forest roads. Because of its beauty, the beach is one of the most visited in the summer months and is especially popular among families with children because of the Rock and the mild sea entrance. Divna - On the north side of the peninsula, in the bay of Divna lies the beach of the same name. In front of the beach there is an island overlooking the sea, as well as anchored yachts in its vicinity. The beach is reached from Duba, or another small settlement on the Peljesac peninsula - Donja Vrućica. In the vicinity of this beautiful beach is located the same name camp, and a cafe that will delight you with a refreshing drink offer. The beach is pebbly, quite spacious and with a gentle approach to the sea. Some smaller parts of the beach have natural shade, but mostly pebbles are constantly impacted by the sun's rays. 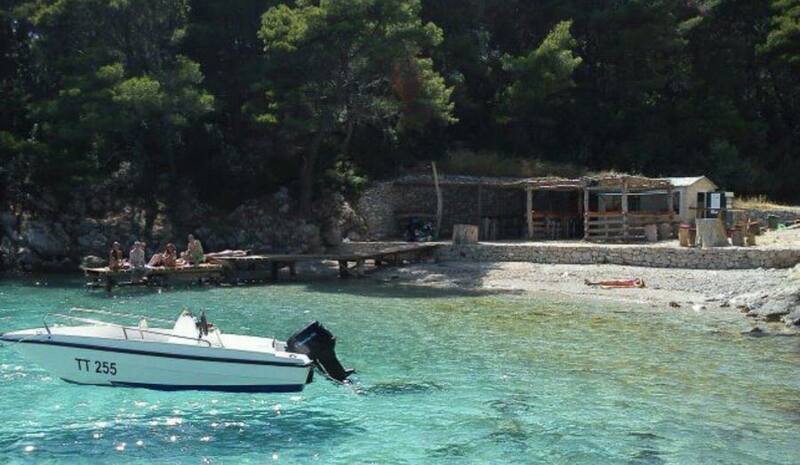 Kremena Žuljana Beach Peljesac - The quintet is a small pebble beach with mild access to the sea. It is partly in the shadows, depending on the age of the day, which is particularly suitable for some guests. Chilly is natural, with tall pine trees above the beach, as well as rocks that close the beach on both sides. Beach Duba Peljesac - For this beach many claim to be among the most beautiful on Pelješac. We have no reason to believe otherwise, especially if we look at photos of the beach and guests enjoying it. 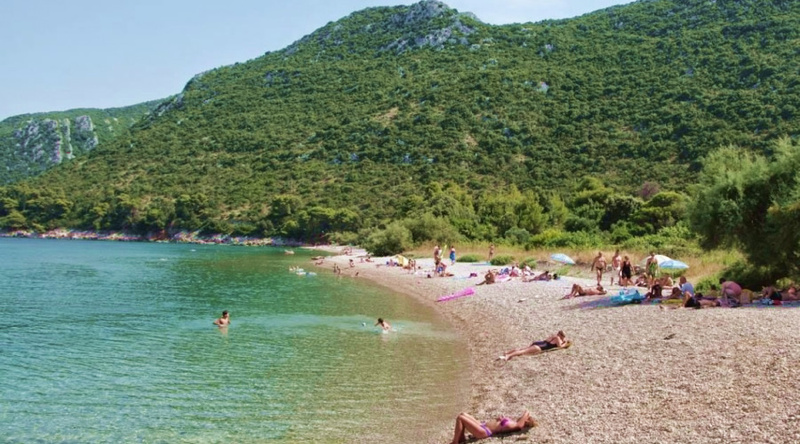 Duba Beach is located on the north side of Peljesac peninsula, in Duba. Pebble is this beach, very spacious and clean. The approach to the sea is mild, suitable for children's play and those who swim less heavily. There is no shade on the beach so it would be nice to take a sun umbrella, and be sure to protect it with a sunscreen. The beach is surrounded by low greenery. It is a great contrast to white warm pebbles, and slightly greenish shades of calm sea. Grdni Do Žuljana is a beautiful pebble beach with turquoise waters, surrounded by rocks, north of Žuljana on the peninsula Peljesac. The beach is the most commonly used naturist, although it is not officially naturist, but is also listed on Google Maps as FKK. The beach can be reached by boat or by land road from Žulje. You can park your car about 100m from the beach, from where you walk by foot to the steep paths. 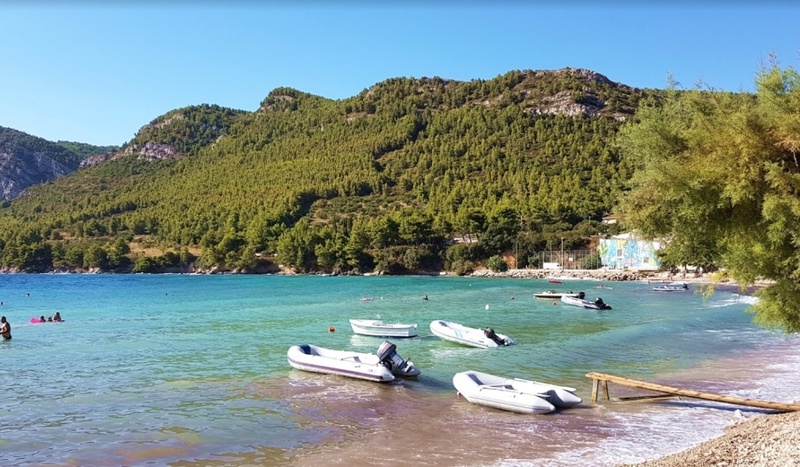 In the vicinity of Žuljana there is a multitude of peaceful beaches that are often used by naturists, so you will find a nice quiet place for yourself in pristine nature. The beach in Žuljana is pebble with sand in it. It's spacious and very popular. Beach guests are mostly from the surrounding apartments but come from other locations as well. The beach is dynamic, with lots of entertainment and entertainment. There is also a small harbor near the beach, which is decorated with boats and boats. It is a nice beach for children and those who swim less heavily. The sea is shallow and up to a few meters from the shore, just for picigin if someone wants it. Around the beach there are restaurants and cafes. The offer of dishes and drinks is rich, varied and of course top quality. When you are swimming and sunbathing, soak up and take a leisurely stroll in a building. 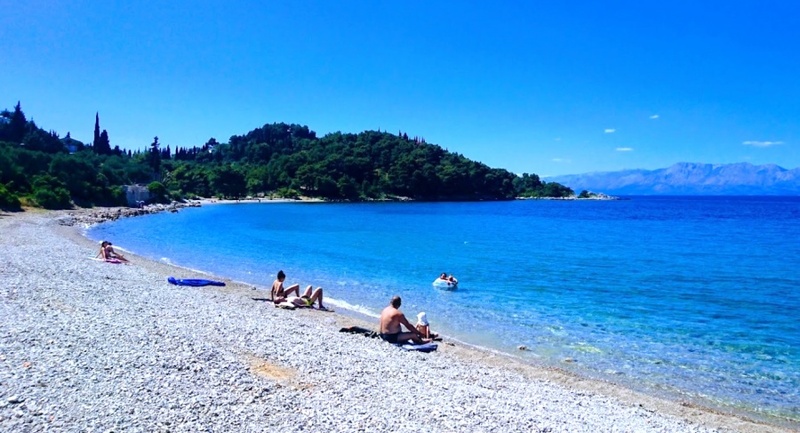 Vrila Beach - A little outside the resort of Trpanj is the beautiful beach next to which Vrila camping is located. The pebble beach is decorated with rows of palm trees, and greenery around it. In front is a view of the calm sea, with various blue shades. Most of our beach is visited by guests of a nearby camp, but other guests come from nearby apartment accommodation. It is very spacious, comfortable for all-day stay both for couples and for families with children. In the town of Trpanj, next to the harbor is Pozora beach. It is a beautiful pebble beach, located in the shade of pines and palm trees. On the beach you have showers, as well as changing cabins. It is also accessible with a gentle access to the sea. The beach is very popular during the day, as well as in the evening because it is surrounded by a promenade. In the immediate vicinity there is a hotel as well as accompanying catering facilities. Here you have everything you may need. Beach Dingač Trstenik - Small beach is located between the Trstenik and Podobuče settlements on Pelješac. It is pebble, fenced with rocks and is very popular. If you look at our photos you will be clear about which is a favorite place for many. Go down the beach to the concrete stairs, where you will find a warm little pebble below. The sea is crystal-clear, light blue with mild shades of green. The sea floor reflects the sun's light so that the colors are even more pronounced. The beach is sheltered from the resort, but restaurants and cafes are close and easy to reach. Get down to some of them, so enjoy the rest of the day. Škamp Beach - The small Škamp beach is located near Trstenik. It is gravel and very well decorated. Next to the beach there is a small mol, built of wood, and a nicely decorated restaurant. If you are a guest of this beach, when you are hungry, you definitely opt for some fish specialty. The offer of dishes is top quality, homemade and above all very tasty. The sea is crystal clear, clean and comfortable warm. We are looking forward to your arrival. Lapus Lovište Beach - This beach is located in Lovište, Peljesac, just outside the Lupus campsite. It is pebbly, in some parts decorated with concrete platters that are covered with stone. There is some shade on the beach, but that will not be enough for most swimmers. It is best to bring a sunblock or sunscreen with you. If you are a guest of a campsite this will not be a problem, because it is all at your fingertips. The camp is near the sea, a few meters from the beach, is well sheltered and largely in the shade. The view from the beach is beautiful, decorated with small yachts and fishing boats.